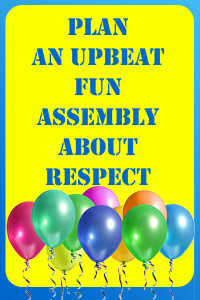 Anti-bullying multi-media school assemblies are a way to create a buzz in your school about bullying prevention. Children want to go to school and feel safe. They want to believe they are cared about by the school and that teachers and principals will help them out if they need support. Through a school assembly, a strong message can be conveyed to children that school safety is a top priority. Many children have fear that they will be picked on or bullied. The result is that students can be tense and worried during class and not learn as well as could be expected. 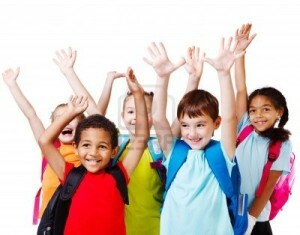 Children must be relaxed and happy to perform at their optimum. In order for children to feel safe and protected from bullying, teachers can play a major role. S.A.F.E. is my acronym for the day. This entry was posted in arts assemblies ontario, Catholic School Assemblies, ontario school assemblies and tagged Anti-Bullying Assemblies, bullying prevention, school assemblies on June 5, 2013 by Bruce. 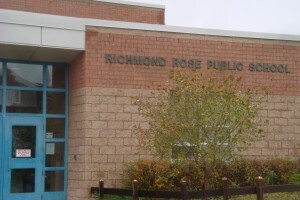 Richmond Rose Public School was our destination yesterday as we set out to present three bullying prevention assemblies. Principal, Mr. Rick Rosemin and Vice-Principal Ms. Heather Levitt have obviously worked hard to set the tone for their continuing anti-bullying initiative. They both appeared before the students in each of the three assemblies and talked about the importance of bullying prevention. They played a game with the students as part of identifying the difference between bullying situations and non-bullying situations. They made it clear to the students that respect comes first at Richmond Rose School. At Richmond Rose, we take responsibility for our work, words and actions. We put in our best efforts, enjoy our successes, and learn from our mistakes. We embrace each other’s differences and care for each other’s feelings. We think before we speak and use words that are appropriate for school. No one is afraid at our school. At Richmond Rose, we are free to succeed! Students were very engaged by the messages delivered in our assemblies. It was obvious that Mr. Rosemin and Ms. Levitt as well as the rest of the staff have made an impression on the students regarding acceptable behaviours and what constitutes bullying. Students approached me after the junior and intermediate assemblies and asked questions how they could learn even more about bullying prevention and growing respect levels. Children in the primary assembly were heard singing Bruce Langford’s bullying prevention theme song “Stand Up” as they played at recess. Richmond Rose Public School sets a fine example of how schools can help students in a meaningful way to learn how to respect each other more. We extend a sincere thanks to Mr. Rosemin and Ms. Levitt and all the staff and students for allowing us to be part of their student survey driven Anti-Bullying assemblies. Stand Up Now Productions presents their ‘Stand Up Against Bullying’ Assemblies to students of all ages. This entry was posted in ontario school assemblies, school assemblies, Toronto Bullying Prevention and tagged Anti-Bullying Assemblies, stand up against bullying, student bullying survey, york region bullying, yrdsb on October 30, 2012 by Bruce. 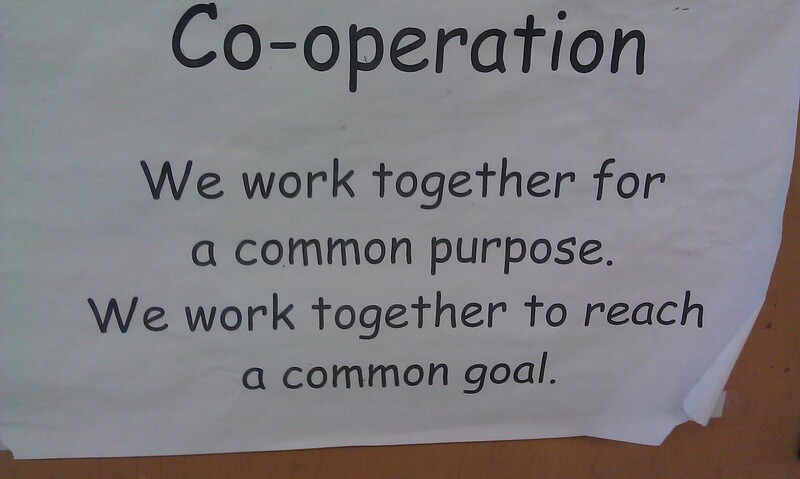 Cooperation – We work together for a common purpose. We work together to reach a common goal. This is the message on the gym door at Lescon Public School in North York. Principal Mario Perri obviously cares about bullying prevention, cooperation and respect. He was pleased with our programs so much so that he invited us back for another visit. Students told us that most bullying situations don’thappen at Lescon because students look out for each other and respect each other in a genuine way. If you see bullying behaviour, act on it by reporting it, saying something, changing the subject or speaking up. This is a key way to ‘Stand Up Against Bullying’. 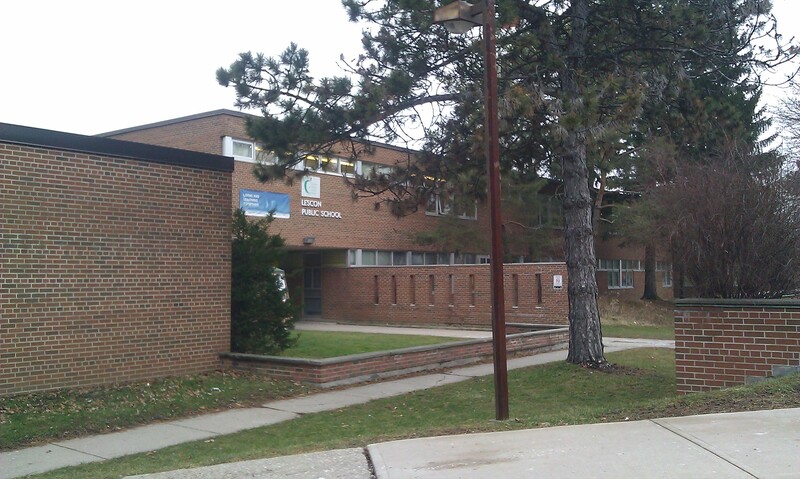 This entry was posted in bullying and tagged Anti-Bullying Assemblies, North York Anti-bullying, School Bullying Programs, Toronto Bullying Prevention on February 1, 2012 by StandUpAgainstBullyingGuy.